Christina Wong Ping Eng, aged 44, holds a Diploma in Commerce (Financial Accounting) from Tunku Abdul Rahman College, Kuala Lumpur. She is a Certified Accountant with the Malaysian Institute of Accountants (MIA) and Association of Chartered and Certified Accountants (ACCA). She has more than 15 years experience in the financial and accounting field. 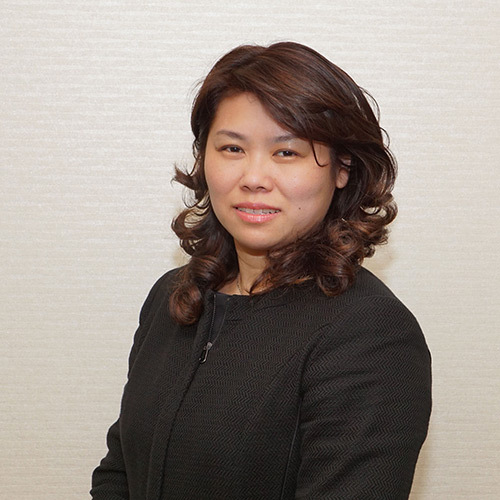 She started her career as an Audit Assistant at KPMG Kuching from September 1997 until December 2000. Later, she joined Naim as an Accountant overseeing the Accounts Department in Miri until 2004. In July 2004 to 2008, she was appointed the Operations Manager for Naim’s Bandar Baru Permyjaya project in Miri whereby she was responsible for managing the entire Miri operations. In July 2008, she was promoted as the Vice President – Finance and Accounts to oversee Naim Holdings Berhad’s Finance and Accounts Division. She was subsequently promoted as the Deputy Director, Finance and IT Division, and in August 2012, she was again promoted as the Senior Director for the Group Support Division comprising of Finance & Accounts, Administration, Human Resource and Information Technology.